The coal deposits are divided into 12 blocks, each containing approximately 2 billion tons. In the first phase the Sindh provincial government has allocated block II to Pakistan's Sindh Engro Coal Mining Company (SECMC) to excavate 1.57 billion tons of coal and build a 660 megawatt power plant. The plant is expected to provide power to the Pakistani national grid by June 2019. Later expansion to produce 1,320 MW of power is also planned. Muhammad Makki, a doctoral student at the University of Queensland in Australia, recently visited the region. Makki saw "signs of a resource boom already animating the dull landscape of the region – roads, airports, site offices, power lines, guest houses and rising real estate price are evident". Some of them are now being employed in development projects. Makki saw an underground coal gasification pilot project near the town of Islamkot where "workers sourced from local communities rested their heads after long-hour shifts". In the first phase, Sindh Engro Coal Mining Company (SECMC) is relocating 5 villages that are located in block II. SECMC is paying villagers for their homes and agricultural land. SECMC’s chief executive officer, Shamsuddin Ahmed Shaikh, says his company "will construct model towns with all basic facilities including schools, healthcare, drinking water and filter plants and also allocate land for livestock grazing,” according to thethirdpole.net He says that the company is paying villagers above market prices for their land – Rs. 185,000 ($ 1,900) per acre. "Walking long distances has given way to motorbikes and overloaded buses have taken the place of kekras, the rickety shuttle truck-bus of the World War II vintage. Children suffering from malnutrition and other ailments are reported directly to the media as well as the hospital in Mithi on mobile phones. The high numbers of the suffering children had always existed; only the media was late in discovering these cases. The media attention did bring politicians and bureaucrats to the region, facilitated of course by the road. The hospital in Mithi is now much better staffed and well-stocked with medicines. It is now a thriving town with a good number of schools and a college. Even an English-medium private school was in evidence. A sub-campus of a university is also coming up. Locals complained about the lack of girls schools, especially at the post-primary level. This is a sign of growing awareness. There was also frustration that the locals are not given the party tickets for the National and Provincial assembly seats. Mobile connectivity and the road have linked the famous craftswomen of Thar with the main markets much more effectively. At a community meeting in Islam Kot, women were quoting prices that broadly corresponded with the prices charged in Karachi’s Zeb un Nisa Street." Thar development boom is part of Pakistan's efforts to solve its energy crisis as part of China-Pakistan Economic Corridor (CPEC) projects. It is stimulating a lot of economic activity in Tharparker region that will impact the local population and the environment. Sindh government and the companies working there claim that they are trying to maximize benefits for the region and the country while mitigating any problems associated with it. It's important that they live up to their claims. Pakistan’s coal expansion brings misery to villagers in Thar desert from thethirdpole on Vimeo. Why can't the government put up solar plants? This area gets high sunlight 365 days. Also across the border they have put up one of largest solar plants over there. Mansoor: "Why can't the government put up solar plants?" Solar does not provide 24X7 power. Pakistan is building solar, wind, and other renewables along with coal, gas, oil, hydro and nuclear power plants. All are needed to deal with rapidly growing demand to support the country's rising economy. Great news, sir. On a related note, on the Indian side of the border in Gujarat, such makeshift buses are called chhakras very similar to your khekras. Federal Minister for Planning, Development and Reform Ahsan Iqbal has stressed the need for a master plan to develop Thar into a model city and asked the Sindh government and investors in the Engro Power Plant to take necessary steps to realise this goal. Economic activity in Thar should not just be geared to earn profits, but also focus on the economic and social uplift of the area, said the minister. “We should not repeat the mistakes made in Sui,” he said. The minister was chairing a fortnightly review meeting of the China-Pakistan Economic Corridor (CPEC) at the Ministry of Planning, Development and Reform here on Thursday. He directed to finalise the plan to switch Gwadar Power Plant from coal to LNG or oil on an urgent basis to meet the energy needs of the port city. The meeting reviewed the progress on projects in energy, road infrastructure, railway and Gwadar under the CPEC framework. Mr Iqbal instructed to fast track the construction work on CPEC projects to ensure their completion within the stipulated time frame. He suggested to adopt a smarter and scientific approach and urged for mobilising the required financial resources promptly for the smooth execution of work on these projects. Reviewing the energy projects under CPEC, Mr Iqbal said that speedy work on these ventures is necessary to tackle the energy crisis and power needs of industrial zones under the scheme. He said that with the completion of energy projects in the early harvest schemes, approximately 10,000MW would be added to the national grid by 2018. He asked the ministry of water and power to present an integrated plan for generation, transmission and distribution for the next three years within one week to ensure that the new power will be distributed to consumers in a planned manner. He called for the induction of young Pakistani engineers in power plants to enable them to learn about the setting up and fabrication of power plants from their Chinese counterparts. Mr Iqbal also underlined the need to use CPEC projects to make the country a manufacturing economy, instead of a trading one for sustained economic growth. The planning minister directed the authorities concerned to consider urban planning requirements while devising the master plan for Gwadar and also called for enforcing land-zoning laws to rationalise the prices of land in the city. The meeting also reviewed KKH-II (Thakot-Havalaian section), the Multan-Sukkur section of Karachi-Peshawar Motorway, Matiari-Lahore Transmission Line, ML-1 Railway Track and the LNG Pipeline Project and expressed satisfaction over the progress of CPEC projects. Another ecological disaster in the making. A new coal plant, at a time when the world is moving away from it - or atleast trying. Thar coal is at best mediocre. sundar: " Another ecological disaster in the making. A new coal plant, at a time when the world is moving away from it - or atleast trying. Thar coal is at best mediocre. " In addition, India's coal-fired power plants are old and dirty; Pakistan's use latest clean technology. SECMC’s Shaikh admitted that lignite is the worst form of coal, but he claimed that his company will be using state of art modern technology to collect the fly ash from the coal chimney and dump it in a site that the company will build in the future, thus minimising the damage from fly ash. Meanwhile, Modi Government has has a goal of tripling domestic coal production by 2020 to fuel a dramatic increase in coal power generation. China will help boost green, low-carbon and sustainable energy development to address power shortage in Pakistan, vowed a Chinese entrepreneur on Monday on the occasion as the two-day China-Pakistan Economic Corridor (CPEC) Summit and Expo are being held in Islamabad. "This is one of our core concepts when we implement the out-going strategy. We share our advancing technologies and experiments with the countries we invested in," Yan Zhiyong, chairman of the Power Construction Corporation of China, or Power China, told Xinhua on Monday. "We are not coming only for big projects, we are here to help countries, such as Pakistan, to plan and design their future energy development blueprints so as to address problems they are facing and to bring them into realities," said Yan, who is fighting for a responsible image for Chinese enterprises that increasingly engaged in world arena. Many China-involved projects overseas are questioned by western countries over ecological issues. However, for his part, Yan said all the projects by Power China will abide by local standards if the countries have higher environmental protection clauses than that of China, while, if their standards are less strict, it will follow as same as China's regulation. The eye-catching Port Qasim coal-fired power project in Karachi in southern Pakistan is one of the best examples of Yan's concepts. The project adopts a costly method to lower the temperature of the seawater used to cool the generating units so as to prevent from heating up water temperature around the coast. Abiding by local and World Bank's environmental protection regulations, the Qasim power plant, with a total installed capacity of 1,320 megawatt, will provide 9,000 gigawatt hour power to meet Karachi's electricity shortage in the southern Asia country. Meanwhile, the Qasim project will also create over 3,000 jobs for the Pakistani people directly and will increase 500 jobs or training positions for locals every year after its operation. Yan said that it is very important to train more local people to be qualified to operate the power plant and other utilities invested or constructed by Power China. "It's just like the proverb which says give a man a fish, he eats for a day. Teach him to fish, he will never go hungry." The chairman also suggested the Pakistani government to develop hydropower and wind power as the country obtains abundant water-power and wind-power resources. "On one hand, utilizing local power resources will decrease energy import costs so as to lower energy prices domestically. That will benefit the people here. On the other hand, it will ensure Pakistan's energy security by depending on its own resources," according to Yan, adding that "we must put a country's demands into our consideration when we are going to launch a project." Yan said the CPEC is a part of Chinas Belt and Road Initiative which aims at optimizing regional resources and enhancing connectivity between involving countries so as to achieve the goal of common development, and Power China has the ability to fulfill its role in helping Pakistan shake off energy shortage. Earlier the day, addressing the inaugural session of the CPEC summit, Pakistani Prime Minister Nawaz Sharif said that the CPEC would not only serve as a game-changer for Pakistan, but a fate-changer for entire region by helping it get rid of economic deprivation and attain peace and prosperity. "The CPEC is a new concept of diplomacy based on shared goals of prosperity for Pakistan and the region, and a project to eliminate poverty, unemployment and underdevelopment. It will not only improve Pakistan's own infrastructure but will also provide it the much needed know-how, knowledge and expertise in new technologies," said the prime minister. Pakistan’s mobile broadband (3G/4G) subscriber base more than doubled over the past year to 31.8 million at the end of July. According to the Pakistan Telecoms Authority (PTA), 3G/4G penetration has jumped from 11 per cent to 23.8 per cent over the past 12 months. Operators added an average of 1.43 million 3G/4G subs a month, but the pace picked up in July with the five key mobile players adding 2.3 million in a single month. Pakistan has just 1.17 million 4G users. China Mobile’s Zong has nearly 800,000, while Warid has about 370,000. A year ago they each had just over 100,000 4G subs. Mobilink is the 3G market leader with 10.2 million subs — up from just under four million a year ago. Telenor Pakistan was second with 8.6 million, a net gain of nearly four million, while Zong was third with 6.5 million (up from 3.1 million a year ago). Number four Ufone doubled its 3G subs during the period to 5.3 million. The country has 133.3 million mobile subscribers, giving it a mobile teledensity of 69 per cent, which has been stable over the past year. Mobilink is the largest operator with 39.5 million total mobile subscribers, followed closely by Telenor (38.1 million). Zong again was third with 25.6 million, and Ufone fourth with 19.5 million. "Another ecological disaster in the making. A new coal plant, at a time when the world is moving away from it - or atleast trying." Another Indian finds something to criticize Pakistan with, meanwhile half their own population deficate in public. We own it and acknowledge it completely and that is the first step in resolving it. However, let's revisit comparisons in a few years - by 2020. I see this CPEC development being overplayed. Without discounting the importance of CPEC, we should wait before we use words like game changer or transformational. The ultimate measure will be economic growth in terms of GDP and we have to remember the first letter C stands for China which is doing it to gain the most. PASSU, Pakistan—Sajid Alvi is excited. He just got a grant to study in Sweden. Alvi, dressed in low-hanging shorts and a Yankees cap, is far from a fundamentalist: He’s Wakhi, part of an ethnic group with Persian origins. And like everyone else here, he is Ismaili—a follower of a moderate branch of Islam whose imam is the Aga Khan, currently residing in France. There are 15 million Ismailis around the world, and 20,000 live here in the Gojal region of northern Pakistan. I’ve been visiting Gojal for 17 years, and I’ve watched as lives like Alvi’s have become more common here. Surrounded by the mighty Karakoram Range, the Ismailis here have long been relatively isolated, seeing tourists but little else of global events. But now, an improved highway and the arrival of mobile phones have let the outside world in, bringing new lifestyles and opportunities: Children grow up and head off to university, fashions change, and technology reshapes tradition. Gojal has adjusted to all of this, surprising me every time I return by showing me just how adaptable traditions can be. I first came here in the summer of 1999. I was 25 and my girlfriend and I bought one-way tickets to Pakistan. We were looking for inspiring treks (the Karakoram Range has the highest concentration of peaks taller than 8,000 meters). Back then, we were among the roughly 100,000 foreign tourists to visit northern Pakistan each year. Munir Bana advised many of his employees to buy the company’s shares as date of the book-building portion of the IPO neared. Many of them hesitated, but some of them opted to buy a personal stake in the auto part maker’s expansion plan. Weeks later, many regretted their decision and those who bought the shares wished they had invested more. After all, the share price of Loads Limited – the last listing on the Pakistan Stock Exchange in 2016 – jumped over 100% within a few weeks of trading. It is currently priced at Rs56.76 after starting on Rs34 and has also handed out 10% bonus shares and Rs1 as dividend to its shareholders. “Our employees were hesitant to enter the stock market, but when I insisted many of them bought the company’s shares,” said Bana, the CEO of Loads Limited, one of the leading auto part makers in the country. Before offering 50 million shares through the IPO, the company first offered 2.5 million shares to its employees to engage them in the company’s future aggressive investment plans. The company eventually managed to raise Rs1.7 billion, an amount the company is now using for expansion of its production capacity. Loads makes radiators, exhaust systems, mufflers, sheet metal components among other parts, and its clients include more than a dozen national and multinational companies engaged in the production of motorcycles, cars and heavy vehicles manufacturers. Bana, a Chartered Accountant, believes two developments have been positive triggers for the local auto industry — the China-Pakistan Economic Corridor (CPEC), a $55-billion investment and loan package that envisages changing the way China conducts trade, and the Automotive Development Policy (ADP) 2016-21 announced in March 2016. Industry experts believe the auto sector would be a major beneficiary of CPEC, given the corridor’s vision of upgrading Pakistan’s road and highways network. Officials say the country would need heavy vehicles not only during the construction phase, but also after the infrastructure projects are completed. “New entrants and new models, as well as the increase in heavy vehicles, all speak for themselves,” he said. Chinese investments are speeding up new coal developments in the Thar region of Pakistan, despite local water scarcity and pollution and an abundance of solar energy potential. 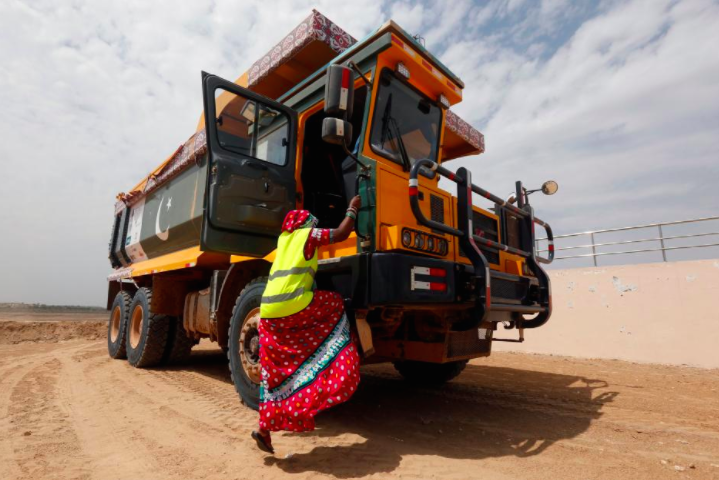 The CEO of Sindh Engro Coal Mining Company (SECM), Shamsuddin Ahmad Shaikh, said on Thursday that with government and investor support – particularly from China – its coal developments in Thar are running quicker than expected. SECM is developing a 1,320MW coal power plant in Thar which is expected to be completed by June 2019. Also under development is the Sino-Sindh Resources Limited (SSRL)’s open pit mine, which is expected to produce 6.5m metric tonnes a year. It will reach commercial operation as early as 2018. Coal from this pit will power a 1,320MW plant, expected to be operational by 2019. Addressing a seminar in Karachi, Shaikh said that SECM can “considerably” reduce electricity costs to 6¢ per unit once its Thar coal production reaches a capacity of 4,000MW. Thar’s provincial chief minister Syed Murad Ali Shah, said the coal projects will “change the face” of Pakistan’s biggest city Karachi and Sindh, the province in which Thar is located. The seminar was organised by the Express Tribune Media Group, land development company Rafi Group and real estate marketing company, Fast Marketing. It was the first of a series of seminars discussing the driving force behind coal development in Thar, the China-Pakistan Economic Corridor (CPEC). CPEC is an investment agreement between Pakistan and China for developing infrastructure projects. The first phase is for $46 billion in investments over 15 years. CPEC is “not only an economic corridor but it’s an endless path of prosperity and economic stability,” chief executive of Fast Marketing Asghar Goraya told Climate Home. CPEC’s “largest portfolio is the energy sector, which is bigger in terms of allocation of funds,” said Shah. China is “very interested” in investing in Thar coal, said Ali Akbar, executive director at the Association for Water, Applied Education and Renewable Energy (Aware), Paksitan’s largest NGO. Thar is home to one of the largest coal deposits in the world, with 175 billion tons of coal over 9,000 square kilometres. HoweverAware is campaigning for Thar coal reserves to remain in the ground. Akbar says people are already feeling the effects of water scarcity and coal dust pollution due to mining activities. Gaining water in Thar is “a very difficult practice,” said Akbar. Animals are used to pull a rope, tied to a bucket. Sometimes the water that is left is 300ft deep, says Akbar. Due to climate change, droughts are also gaining in intensity in Thar. During drought periods “the animals get weaker and people have to pull ropes by hand,” said Akbar. According to the National Renewable Energy Laboratory, Thar has high solar irradiance, receiving up to 5KWh per square meter a day. This is comparable to parts of the Arabian Peninsula, where solar is considered a highly favourable source of electricity. In the dusty scrub of the Thar desert, Pakistan has begun to dig up one of the world’s largest deposits of low-grade, brown, dirty coal to fuel new power stations that could revolutionize the country’s economy. The project is one of the most expensive among an array of ambitious energy developments that China is helping the country to build as part of a $55 billion economic partnership. A $3.5 billion joint venture between the neighbors will extract coal to generate 1.3 gigawatts of electricity that will be sent across the country on a new $3 billion transmission network. On paper, Pakistan could be one of Asia’s top economies, with almost 200 million people spread over an area twice the size of California, from the ice-bound peaks of the Karakorum to the warm, dry shores of the Arabian Sea. But it remains hobbled by corruption, political turmoil, terrorism and poverty, all underpinned by a crippling shortage of energy. The country has natural gas reserves, four nuclear-power stations and the world’s largest dam. Some 700 kilometers north of the Thar mine another Chinese company is helping build a solar farm eight times the size of New York’s Central Park. Yet power outages remain a way of life with blackouts of 12 hours or more even in Karachi and Islamabad. By one estimate, the shortage of electricity is wiping 2 percentage points off economic growth every year. Thirst for energy is taking Pakistan in the opposite direction of Western countries that are trying to reduce coal power, or use cleaner-burning fuel and technologies. Germany, which still relies on coal-fired stations for two fifths of its electricity, has promised to switch half of them off by 2030. Pakistan by contrast relies on coal for just 0.1 percent of its power, according to the Pakistan Business Council. The Thar projects and others could see that jump to 24 percent by 2020, according to Tahir Abbas, analyst at Karachi-based brokerage Arif Habib Ltd.
Pakistan’s coal reserves would give the nation a cheap domestic alternative to expensive oil and gas imports. The nation spends about $8 billion a year on imported petroleum and is one of the region’s biggest buyers of liquefied natural gas. In an effort to curb the import bill and meet demand for power, Pakistan plans to dig up some of the world’s biggest known deposits of lignite, a lower-grade brown coal. But first, it must clear 160 meters of sand to get to the coal. On a flat, arid plain, separated from a hot cerulean sky by a thin line of spindly scrub, yellow-edged containers sit neatly around paved quadrangles. In the centre of each, a lumpy circle of green turf, irrigated by a hosepipe, provides some respite from the dust and heat. Minister for planning, development and reform Ahsan Iqbal on Thursday came hard on opposition against coal-combusted power plants, saying the country is using supercritical modern technology, which reduces hazardous emissions. Planning minister categorically rejected the claims that coal power plants would create environmental hazards. He was speaking at a seminar on “CPEC Myths and Realities”, a statement said. China has pledged at least $55 billion for Pakistan’s infrastructure development projects under China-Pakistan Economic Corridor (CPEC). More than 60 percent of this investment has been committed for energy projects, which the country, suffering from crippling power shortages, is direly needed. Experts are against mining of coal at one of the world’s largest coal reservoir, Thar Desert, with an estimated 175 billion tonnes reserve. They said local coal is of poor quality, and needs heavy investment for treatment prior to power generation. While government encourages coal import, yet it has also partnered China to embark on $3.5 billion project to mine local coal and generate 1,300 megawatts of electricity. “The present government for the first time under CPEC is tapping the Thar coal reserves, which can be a source of energy supply for many hundred years,” Minister Iqbal said. Iqbal said CPEC is the platform of inclusive growth, where 85,000 jobs will create for youngsters. CPEC presents Pakistan with a historical opportunity to uplift the country’s status as the hub of economic activity in the region. He urged the youngsters to prepare themselves in order to benefit from the opportunities offered by CPEC and play a constructive role in transforming the economy to a modern industrial economy by adding value at different levels. Iqbal said CPEC has changed the global narrative about Pakistan. “The country which was ranked as the most dangerous country of the world is now recognised as the next emerging economy.” He said the government has convinced global media to recognise Pakistan as a safe haven for investments, which once called Pakistan as ‘safe Heaven for extremists’. As the car speeds along gleaming blacktop highways in Pakistan's southern desert of Tharparkar, it is clear the new roads were not built to serve the poor herders and nomads who live in cone-shaped straw homes and subsist on herding sheep and cattle. Indeed, a few decades ago, the Tharparkar desert in Sindh province bordering India was accessible only by crab-shaped vehicles that crawled over sand dunes by day and under star-studded skies at night, to reach the people of a forgotten century. That changed as international feasibility studies sanctioned by Islamabad found that nearly half the desert covered coal. The turning point came as China offered to excavate and convert the fuel to help Pakistan cover its electricity shortfall of 25,000 megawatts. 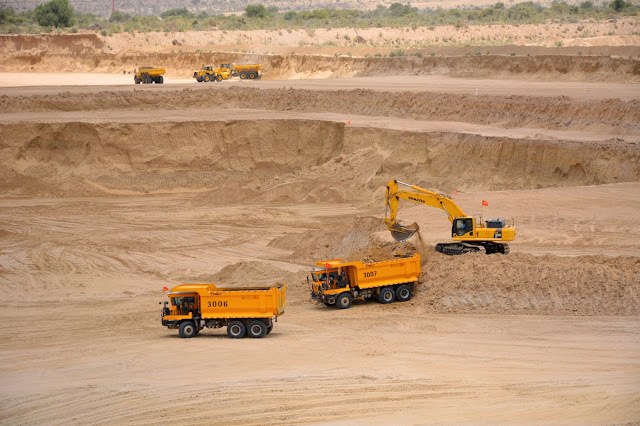 So while the world turned away from coal to cleaner fuels, the Sindh Engro Coal Mining Company (SECMC) began digging a layered, rectangular trough near the town of Islamkot. From above, the mining area looks like Pakistan's 5,000-year-old archaeological site, Moen Jo Daro (Mound of the Dead). But with Pakistani and Chinese flags fluttering side by side — and the hustle-bustle of dump trucks — the excavation clearly looks to the future. Across the barren hills, the State Power International Mendong (SPIM) and China Machinery Engineering Corporation's power plants are poised to convert the coal to energy — reportedly 660 megawatts by the end of 2017. Just outside the power plants sits a Chinese housing colony for the workers it has imported, a common practice for the country's foreign projects. Meanwhile, Engro has a mandate from the Sindh government to ensure that the desert people, sitting atop the world's seventh-largest coal reserves, become willing partners in the transformation of their habitat. Already, Engro has created "Khushal Thar" (Prosperous Thar), training 694 people on monthly stipends to be supplied to their Chinese partners. 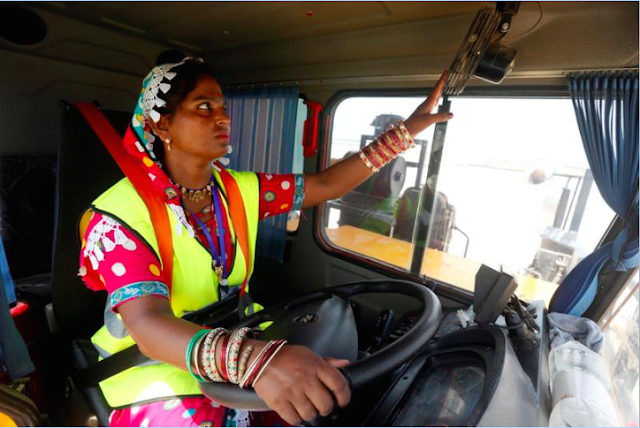 Armed with a strategy for social change, Engro trains women as dump truck drivers. Recruiter Jehan Ara said the corporation, initially concerned about a backlash, first discussed the community's response to inducting women into an all-male profession, and only then made the positions official. Interviewed in Islamkot, Marvi, 35, beamed at the prospect of driving dump trucks. Having six children was apparently no deterrent. Her husband, Ratan Lal, was on hand to cheer her, saying: "She is tough; she climbs trees to gather firewood and gets water from afar." But the community has concerns that water from the mining process, discharged into Gorano village 28 kilometers away, could pollute drinking water sources. In Mithi town, people have repeatedly demonstrated to sound the alarm, with the fears echoed by Sindh's civil society. For generations, the desert people have lived amid peacocks, sheep and camels. Engro plans to compensate and relocate them from their straw homes to model homes, fully equipped with schools and hospitals. Muslims and Hindus are to be resettled side by side, emblematic of the peaceful coexistence within the border community. Population of Tharparkar district is around 1.65 million and Thar is spread over both sides of India and Pakistan where the life always remained hard because of the non-availability of sweet water. The region derives its names from Thar and Parkar. The name Thar is from Thul, the general term for sand region or sand ridges and Parkar literary means “to cross over”. The region was earlier known as Thar and Parkar, later theses became one word, Thar and Parkar coined together and formed a beautiful name Tharparkar. The people of Thar have been underfed because the area being desert has no reliable irrigation system. The lands, whatsoever, are irrigated on rainwater. Historically, Thar receives low pour but when it receives rains it makes the desert lush green where peacocks dance and sing making the scene most fascinating. The water is drawn out from deep water wells but that water also contains highest volume of TDH. The people of Thar used to face various health hazard problems such as waterborne diseases, inadequate health facilities, famine and lack of basic infrastructure. Apart from it, poverty, population growth, lack of clean drinking water, unemployment and high illiteracy had trapped Tharparkar in a state of catastrophe. Therefore, people used to migrate from Thar to revering area to save them and their cattle and those who fail to migrate used to lose their dear ones and cattle, the only source of their livelihood. Crop failure due to low rainfall, coupled with loss of small animals has greatly reduced the impoverished communities’ purchasing power. Poverty is endemic in the sparsely populated district with acute malnutrition rates in children as high as 20 per cent, well above the emergency threshold of 15 per cent. The biggest reason perhaps of disease and death in Tharparkar is malnourishment of its mother. It is no secret that Thar people do not have access to clean water, health facilities or food because of which mothers in Tharparkar give births while their hemoglobin level is as low as four. Death is a regular visitor at the doors of Tharparkar’s mothers. More than 190 children have died and 22,000 have been hospitalized in Tharparkar district in 2016 because of drought-related waterborne and viral diseases. Tharparkar is facing severe drought for the fourth consecutive year, and access to health services is reported to be very difficult, with families travelling an average distance of 17 km to reach the nearest health facility. Whereas sweet water condition in Tharparkar is worst and access to water is a key problem for the district of Tharparkar, which comprises an area of 22,000 sq km. More than 1.4 million people and about five million heads of livestock live in the area, where annual rainfall averages can be as low as 9mm, and drought is common. Barely 5 percent of the population has access to a sweet water supply. Even the district capital, Mithi, [only] gets sweet water twice in a month. Laying down water supply lines at high cost is also open to question. Most of the population relies on dug wells. The worst conditions are basically the byproduct of non-availability of basic needs of life. There are deserts in the world, which are now productive and life is more than normal. Just take the example of UAE with total area is 83,600 km and part of UAE is producing oil and gas and rest of the UAE is desert but the good planning and attention has converted the area into a most developed area. Thar coalfield is located in Thar Desert. The deposits—16th-largest coal reserves in the world, were discovered in 1991 by Geological Survey of Pakistan (GSP) and the United States Agency for International Development.